Which funds should I be invested into? How many should I spread my money across? The TSP is great in that it automatically withdraws funds from your pay, almost without you seeing it. Additional funds are added almost transparently to you based on a percentage of your pay that you pick. This is great, when you get a raise, you automatically begin putting more into retirement savings. So with the contribution portion of the TSP on autopilot, why not put the investing side on autopilot too? Automating asset allocation is the purpose and goal of the lifecycle fund. What is a life cycle fund? You may ask. It is relatively simple. A lifecycle fund automatically adjusts your investment mix to match a model that is based on your expected retirement date. The L funds in the TSP allow you to pick a fund that is closest to your expected retirement date. All you do is invest funds into that particular fund. When you are younger the fund would be more aggressive to take advantage of time in an attempt to get you a better return. As you become closer to retirement the fund becomes more conservative with the idea of protecting your money as you enter your final couple years before retirement. A fault that I see many clients make when using the L fund is to have their money invested into many different funds. The whole idea of the life cycle fund is that you invest all your money in that fund and let it do the spreading across different assets. By picking individual funds in different asset classes you may become over weighted in a particular asset class when combining the amount the L fund has invested in that particular investment class. 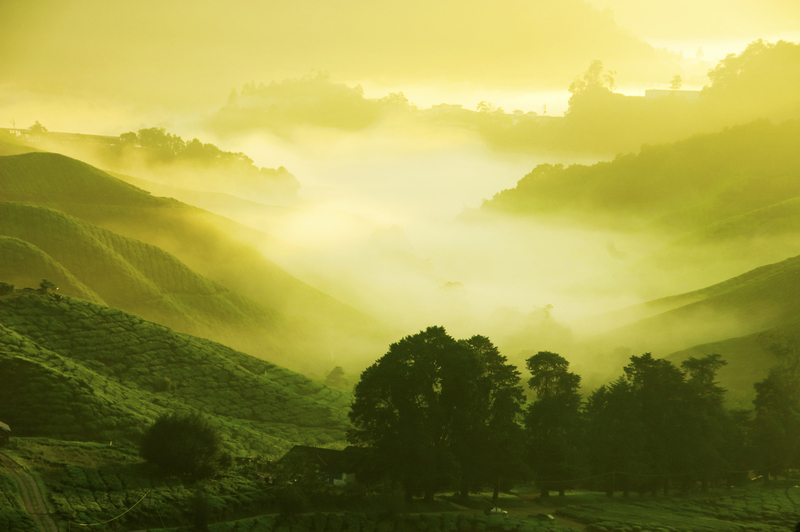 Tea Plantations at Cameron Highlands Malaysia. Sunrise in early morning with fog. So to recap. The TSP is a great investment plan. It allows you to put your investment contributions on “Autopilot”. Putting your asset allocation on “Autopilot” is the next logical step allowing you to meet your retirement goals and not spend the night worrying about what you have your investment account invested in. This entry was posted in Blog on November 26, 2018 by c01975725.